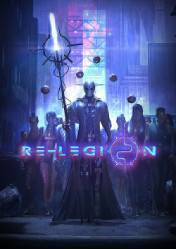 Attention: Re-Legion is a game in digital key or Steam key format (although it may also be available in other versions such as Steam Gift), depending on which online store you buy. The Steam Gift is a link that is sent to our email after the purchase of the game and simply by clicking we can activate it in our account directly. The cdkey format requires you to enter the password in our games library. Both methods are simple and secure. Don't forget that Steam Gifts may be subject to geographical restrictions. Re-Legion is a strategy game set in a steam-punk and post-apocalyptic world. We will live a religious experience, in which we will follow the journey of Elions from a solitary prophet to the most powerful defender of religion. One of the most outstanding components of the game style in this title, is the conversion of the citizens. Through the cyberdinos, we will be able to make all kinds of updates in our troops, use special skills, hack buildings and bulletin boards to expand and control territories, with the goal of converting other citizens to our cause. A real-time strategy game in which the main game mechanics will be to acquire new units by converting citizens. A futuristic cyberpunk game, and with a dark atmosphere. A mature story with deep backgrounds and moral choices. With original and very funny game mechanics. There are no comments yet about Re-Legion. You can be the first one!